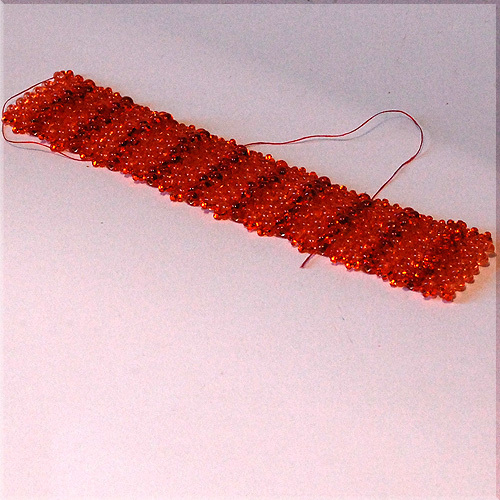 Above is a bright orange bracelet made with Preciosa Twins and size 6 2 cut seeds- all it needs is a clasp! 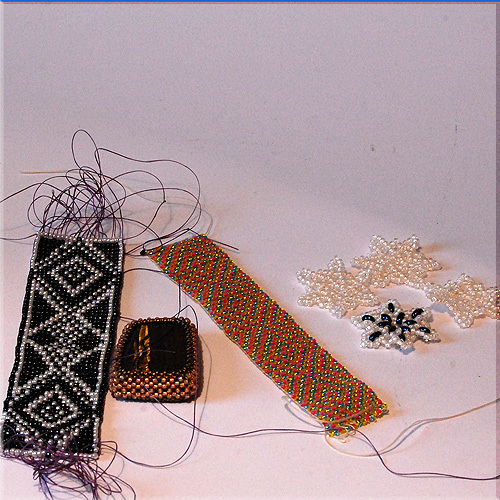 4 projects here- 2 loomed pieces, a stunning cab of Tiger Iron which I have already encased and a few flowers which will end up adorning something , some time, some how. 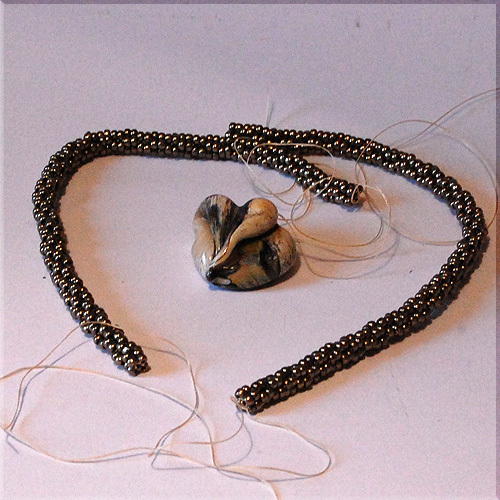 One of Lyndsey Akehurst’s focals and part of the necklace to go with it – I started this last week but have had the bead for a few months, but not as long as the rest of my stash of lampwork goodies. 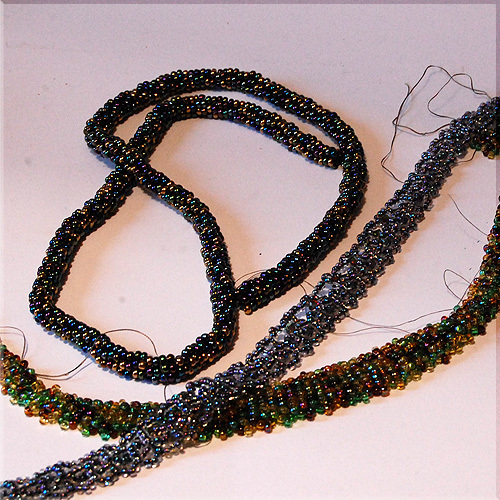 Three unfinished Preciosa Seed bead necklaces , each one a different design. 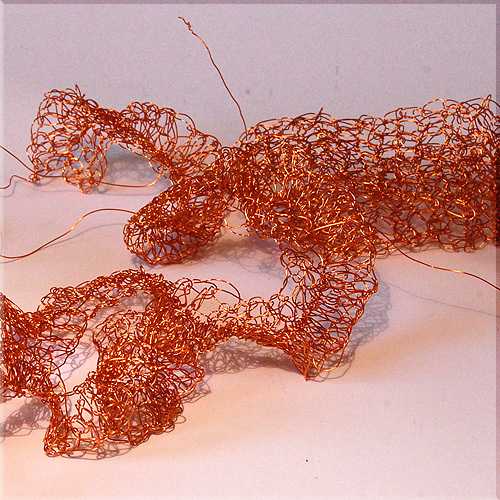 Crocheted copper necklace, bracelet and bangle- they just need clasps and the ends working in. 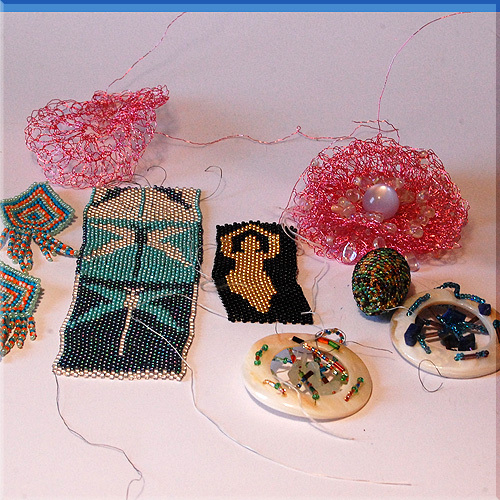 Quite a medley here- brick stitch earrings, part of a dragonfly design bookmark, some more crocheted wire brooches to be, my take on a goddess which my OH claims to look like a bottle opener, a massive beaded bead and 2 shell pendants.